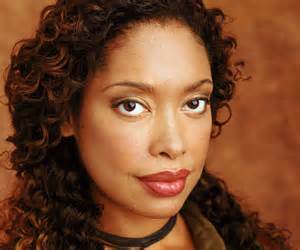 This week’s Influential Lady of Science Fiction is the beautiful and talented Gina Torres. Born in New York on April 25, 1969, the youngest of three children, Ms. Torres (Mrs. Gina Fishburne) starred in one of my top favorite, sci-fi shows, “Firefly” and the big-screen follow-up movie “Serenity”. Ms. Torres didn’t get her start in Firefly, however. She started out as a singer at a young age and attended the prestigious Fiorello H. LaGuardia High School of Music & Art and Performing Arts in New York. Her first science fiction role was as Dr. Amy Ellis in the television movie “M.A.N.T.I.S.” in 1994, which starred Carl Lumbly as the wheel-chair bound hero Dr. Miles Hawkins. Then came Dark Angel, Xena Warrior Princess, and Hercules. Next came her ALMA Award-winning role as Helen “Hel” Carter in Cleopatra 2525. Hel and her partners Sarge and Cleo fought off robots that were taking over the world. And fight they did. She was also nominated for a Satellite Award for Best Performance by an Actress in a Supporting Role in a Series, Drama for Angel (1999), an Academy of Science Fiction, Fantasy and Horror Award for Best Guest Starring Role in a Television Series for the show Hannibal. A Cuban-American beauty, Ms. Torres has also done voice over work for the Justice League series as well as having voiced Wonder Woman in both Justice League: Crisis on Two Earth’s and the game DC Universe Online as well as Airachnid in Transformers Prime. Also a trained mezzo-soprano, Ms. Torres is the wife of Laurance Fishburn and mother of one. She is diverse, talented, kind, brilliant, and more than capable of bringing a myriad of characters to life. 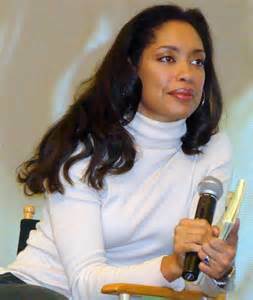 Gina Torres is a woman of influence to me because she has never let herself become type-cast. Ms. Torres currently stars in the series “Suits” as the Jessica Pearson, the hard-core managing partner at Pearson, Hardman, and Specter. Her character is not to be messed with and will let nothing and no one get in the way of her success. I admire Ms. Torres because, though she was accepted to several colleges in your youth, she never attended due to lack of finances. Instead of allowing this lack of education to detour her, Ms. Torres chose to follow her dreams and has become one of the most amazing women in screen and film. Join me next week when I introduce you to another Influential Woman of Science Fiction: Sigourney Weaver. Zoë: Do you know what the definition of a hero is? Someone who gets other people killed. You can look it up later.